Understanding Inspection Points in Check Point – Networkology! I was just about to put some FW Monitor templates on my blog for quick reference when I need to troubleshoot some issues in Check Point but I thought it would be a nice thing to explain this first (for myself too, as I keep forgetting this stuff :D). When traffic flows through a Check Point Security Gateway (look here if you want to know about the architecture) it has to cross a series of inspection points. This post tries to explain what those inspection points are and how to troubleshoot traffic flows based on the inspection points. The next post will show how to use the FW Monitor. 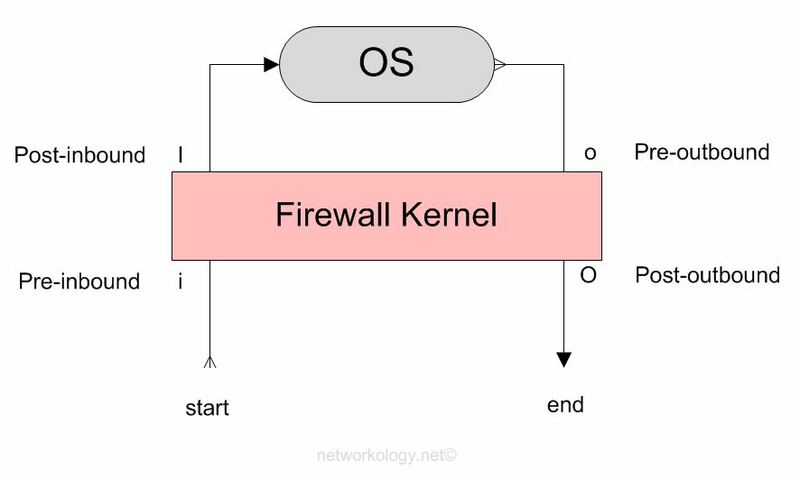 The above image shows how a firewall kernel protects the Check Point OS. The start and end depict the start and end of the originating traffic flow. The return traffic too goes through the same inspection points. The below diagram shows how a complete two-way traffic is treated by the inspection points. If you are grepping iIoO in your captures and you still don’t see a ‘I’ or ‘o’, but you do see a ‘i’ and an ‘O’, then most likely SecureXL is fast switching/accelerating the traffic because the initial packets of that flow were already allowed. You can disable SecureXL while setting captures if you want to inspect them at that granularity (i.e ‘I’ and ‘o’). In my experience, disabling SecureXL hasn’t been a problem* and I haven’t seen any performance impact as such. 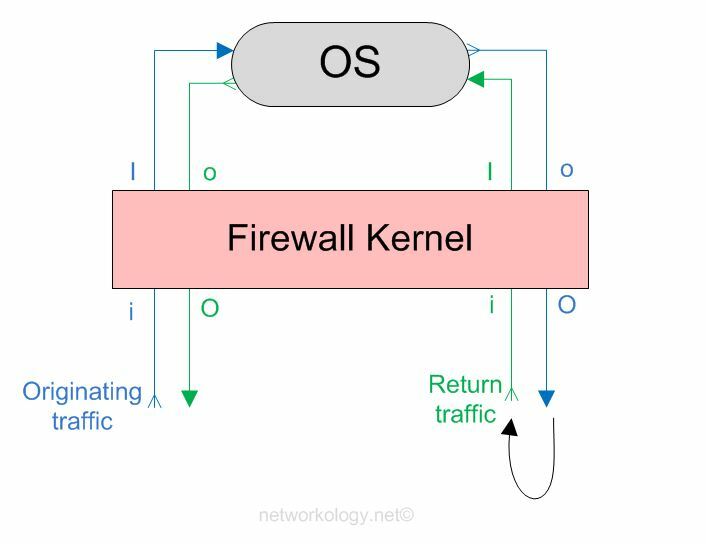 Traffic isn’t hitting your firewall. You won’t get back any captures and the console will just be a black blank screen (or any other background color you use on your terminal :D). The firewall is blocking that ingress traffic either by a rule, improper NAT, IP spoofing, Application Inspection or anything else that you can think of. I’m not very sure on this but in one case that I observed, there was a route missing for the destination in the routing table, so the route look up failed to determine an egress interface and I didn’t see the traffic hitting ‘o’ and it was stuck at ‘I’. I too don’t know, please tell me what that would be and I’ll update it here. :) I think it might be some kind of inspection or something. But I’m quite sure it will be a very rare case. FW Monitor is the tool that can be used to see your traffic flowing through different inspection points. FW Monitor cannot give you the information what SmartviewTracker/Monitor can, because it is a wire capture. It just tells you what is on the wires and does not look into the rule base to see which policy allowed the traffic and was it NAT’d or not. So the Smartview Tracker and Monitor serves a slightly different purpose than the FW Monitor. I’m writing a separate post on how to use the FW Monitor at it’s best and in different ways so you can be better at troubleshooting traffic flow issues in Check Point. If you see any mistakes in the post or have any suggestions to add to this post, please feel free to comment. Thank you! Thanks to Adrian Raiciu for sharing an updated version of the inspection points in R80.x in the comment section of this post. Troubleshooting ‘O’ – When you see an ‘i’, ‘I’ and ‘o’ but not an ‘O’: in my case, this had to do with a proxy id error, in which case one must manually change the user.def file, as checkpoint is supernetting and therefore your packets can go the wrong way. According to a colleague of mine, who is a checkpoint master, this can also be related to a NAT problem. That’s awesome! Thank you for your contribution. :) I’ll update it soon. I am also stuck in “Troubleshooting ‘O’” and I have no idea which way to go. I would like to explore this NAT problem that’s causing this. Hope to hear soon from you guys. One more thing…fw accel on doesn’t NECCESSARILLY turn acceleration on all VSX at once. it all comes down to what vsenv you are connected to. Wow! I’m pretty much lagging with Check Point products! Thanks for keeping me updated. Will see if I can incorporate this into the blog. Thanks! SecureXL “fwaccel off” does not have to be disabled on R80.20 to run “fw monitor”. This is good for performance, so “fw monitor” does not affect performance any more. The reason for this is that with R80.20, SecureXL runs in User space and not in Kernel space anymore. R80.20 Only!! !